Volume and weight conversions are an important tool to have in the kitchen. When halving or doubling a recipe, making the correct conversions can make or break your final results. It is important to note that volume ounces are not the same as weight ounces. 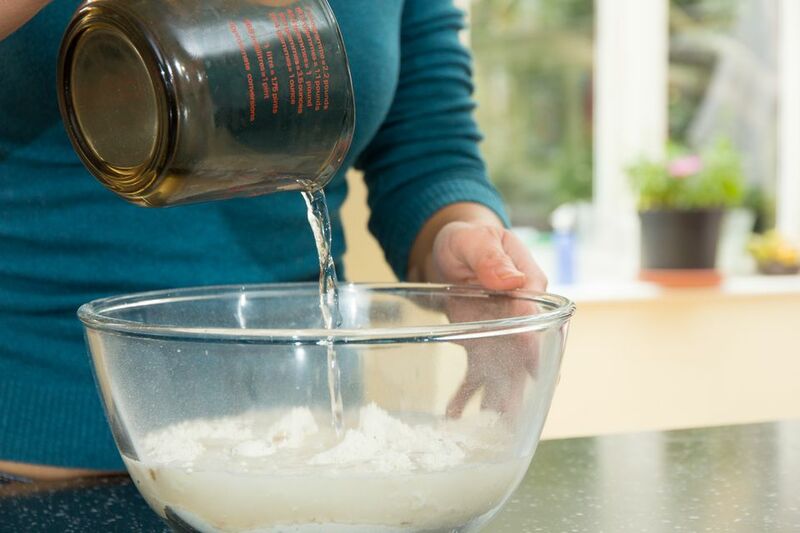 Liquids and other wet ingredients will likely be measured in volume ounces while dry ingredients (like beans, flour, or sugar) will be measured in weight ounces. On packaged goods, volume ounces are listed as ‘NET OZ FL’ where FL stands for fluid and weight ounces are listed as ‘NET WT OZ’ where WT stands for weight. To convert between volume and weight measurements you would need to know the density of the ingredient, so this is not done often. Most recipes in the United States use volume measurements in imperial units like teaspoons, tablespoons, cups, ounces, pints, quarts, and gallons. Most other countries use the metric system with units such as liters and milliliters. One liter is roughly equal to one quart (1.06L = 1qt). The advantage of using the metric system is that you don't have to know any messy proportions. Everything is done in multiples of 10 and 100, without any oddball measures such as tablespoons, cups, quarts, etc. which match up in ratios other than 10, such as 4 quarts per gallon or 3 teaspoons per tablespoon. It is much easier to double or half recipes using the metric system. Once you get to 1000 milliliters, you have one liter. Simple as that. If you need to convert a recipe from metric to imperial, or vice versa, see the equivalents in milliliters in the chart above. It has become much easier to access conversions if you have a cell phone handy. But you will need a little precision in what you are searching for to get a trustworthy result. You can ask your personal assistant, such as Siri, "How many milliliters are in a pint?" Or, "How many teaspoons are in a tablespoon?" You can even do more elaborate conversions, such as "How many cups are 8 tablespoons?" But when you get the answer, it is good to check it against a conversion chart to ensure you've posed the question the right way. You may want to use an app so you can ensure you aren't asking the question the wrong way.